Soft and sweet solo, dramatic when paired with others. The Isabelle Bangle Bracelet features a hinged clasp and gorgeous clusters of rhinestone bling for an extra bit sparkle. 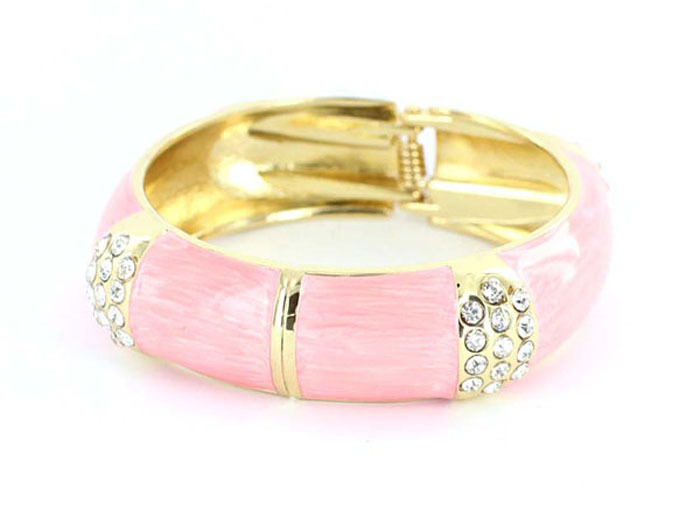 Buy this gorgeous piece of fashion jewellery online here today.